Brand These White Label Videos As Your Own & Sell For 100% Profits. Plus You Can Repurpose The Videos, Images & Transcripts For Multiple Income Streams. What exactly are White or Private Label Rights? How would you like to make an online income starting today? No matter how many different income streams I have, the majority of my income is from selling my own products. The problem for most people is that creating your own product is very time consuming & that is if you know what you are doing. So if you are like my past and current customers that want a solid set of training videos with a proven track record to outsell the competition AND you don’t want to spend the time and effort to create the product, then you owe it to yourself and your customers to hit the buy now button. 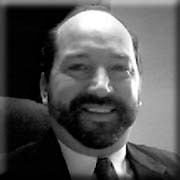 My name is Steve Dougherty & I’ve been creating training videos since 2008. There is a very good chance you have already seen some of my videos or heard my voice (check out the sample video below) and that is because I am the one that makes a lot of the gurus lives much easier. I’ve created hundreds of white label (PLR) training videos so I know exactly the hard work involved in putting together a video product for resale. So instead of you shelling out hundreds or thousands of dollars to outsource your project or spend weeks or months doing the work yourself, let me do the heavy lifting for you. How To Use An Autoresponder- GetResponse Edition – Training videos are your GEEK-SPEAK-FREE Video Guides That You Can Brand & Call Them Your Own Creation. Tired of reading manual after manual and not getting the same results they end up with? With these over-the-shoulder style training videos, you watch me do it step-by-step & you simply repeat what you just saw. A combined 2+ hours of video training delivered in bite sized pieces. Wondering why your conversions are NOT as good as they should be? I take the mystery out of split testing your GetResponse web forms. Video 24 shows you how! As Mark Twain once probably wrote..
One of the most important tools for a long term profitable business in this day & age is an email autoresponder like GetResponse. While the internet is chock full of free information on how to use this email service provider or that email service provider, they were lacking the organization, detail & style of teaching that enables you to best learn from and take action with. My series of How To Use Autoresponders – GetResponse Edition, lays it out for you in easy to follow ‘over the shoulder’ style training videos. While I now love the new way that GetResponse lets you segment your subscribers, at first it was difficult to figure out. The other tipping point that got me geared up to create these training videos, were the custom fields and adding them to the web forms. So before I got too frustrated trying to figure these out on my own, I started looking on Google and YouTube for videos to answer my questions. I found a lot of disorganized information, both text and video and after sifting through all that I still was without my answer. In the process of finding the answer to my original questions, I discovered other GetResponse customers with their own problems on how to do this or how to do that. So I decided it was time for me to swing into action and carve out the time I needed to learn all the features of GetResponse AND to do an up-to-date detailed training course on How To Use An Autoresponder – GetResponse Edition. I found the solution to my problem and whole lot more! I discovered the solution to my problem by trial & error and in the process, I recorded 24 other videos on how to maximize the power of your GetResponse account in ways many long time users may not even know exist. 24 brandable white-label videos that walk you through the GetResponse features & how to use them. 1. An Introduction To GetResponse – In the first video in this series you will see many of the awesome tools & features as well as the pricing structure. 2. Signup – As the title hints at, this video is a walk through of the signup process. You will see me signup for a brand new GetResponse account that I use, along with my ‘demo’ car care business & website, in all the videos in this series. 3. Multimedia Studio – Tips you will not see elsewhere on how to benefit from the Bonus GetResponse Multimedia Studio. Add images, videos & even audio files to your messages using the FREE media hosting that GetResponse provides. GR has a minor bug in the Multimedia Studio but I show you the workaround at 1:15 in the video. 5. Custom Confirmation – If you choose to use the double opt-in feature then you need to watch this video! I show you how to choose the best confirmation template for your sequence and how to personalize it. 6. Create Web Form – You will discover the basics of creating a converting web form as well as the ‘Best Practices’ for even higher conversion rates with your web forms. Plus you will watch as I add the code to my web site & why I did it this way. 7. Customizing Web Forms – I show you how to instantly edit your web forms on every site they are on with the cilck of one button. No More hum-drum web forms from you! Add free images & fully customize your web forms after watching me to mine. 8. Custom Fields – The power of GR’s Custom Fields are now at your fingertips. Video 08 details how to create these marketing marvels as well as why you need them. 9. Create Horizontal Web Forms – All the cool kids are doing it! Now you will too. Without the cost of additional plugins or software, I show you how to create the side-by-side email + submit button web form. I am also including the copy & paste code that I use in the video. Simple Simon! 10. Create Thank You Pages – Video 10 can easily sell as a stand-alone product! In the video I show you the best practices when creating several types of thank you pages PLUS I am including 5 html templates that I used in the video for you to use. 11. Adding Subscribers – Believe it or not, there are some subscribers you DO NOT want on your lists. I detail the 3 ways to add the right subscribers to your campaigns. 12. Automation Rules – In video 12 I talk about what a sales funnel is and how Automation Rules will save you a ton of time and help keep your list properly organized. 13. Message Editor – The Message Editor in GetResponse has many options but after you watch video 13 you will use it like a Master. Videos 14 & 15 will help you master the message editor at a whole new level. 14. Create Snippets – In this video you will discover what a GetResponse snippet is and how to take advantage of this super time saver. 15. Adding PayPal Buttons – The more PayPal buttons you have on the interweb, the greater the chances are that someone will click on one and send you money! There are 2 ways to add PayPal buttons to your GR messages – the hard way & the easy way I show you in this video. 16. Email Templates – Video 16 details another super time saver by creating message templates that you can repurpose and reuse over & over. In the spirit of saving you even more time – I’m including more copy & paste files for you to use on your templates. 17. Time Based Autoresponders – The next several videos cover the ‘Meat & Potatoes’ of GetResponse, the autoresponders. Video 17 covers the Time Based autoresponder & how to set yours up properly. 18. Action Based Autoresponders – GetResponse’s Action Based autoresponders are quite possibly the most under-used Power Feature offered by GR. I walk you through setting up your action based autoresponder as well as a few prime examples of when you should. 19. Date Based Autoresponders – Like in video 18, the Date Based autoresponder is another under-used Power Feature from GR. In this video I show you exactly how to create your Date Based autoresponders and most importantly WHAT NOT TO DO. 20. Newsletters – This video covers a brief explanation of what a Newsletter is but a more detailed demonstration of how to craft one properly and put it to use. 22. Segmentation – Video 22 was created to remove any guess work on the power of segmenting your subscribers and of course How To Segment your subscribers. Yes, video 22 covers the recent changes to segmenting your subscribers so you are in good hands! 23. Surveys – Another power feature from GetResponse. Creating engaging surveys within GetResponse is easy when you know how. In this video I show you how to create one and read the generated statistics. Plus the pros and cons to using the GR survey feature. 24. Split Testing – In this video you will discover the importance of Split-Testing, the importance of what to Split-Test and of course How To Split-Test your messages. I also include an un-branded Sample Video for you to use as well. Why Are These PLR Videos A MUST HAVE Set Of Training Videos? You will discover new tips, tricks & shortcuts that will SAVE YOU TIME AND MAKE YOU MONEY. You can quickly brand them as your own creation & be seen as an authority on the topic. You can resell them & keep 100% of the profit. You can resell as-is or edit the videos as little or as much as you want. These PLR (Private Label Rights) videos allow you to do ALL, SOME or just ONE of the following and begin making money right away? Sell the web-ready videos as they are RIGHT NOW! Convert the transcripts into an eBook PDF and sell as a low ticket item with the videos as a high ticket upsell. Add the videos to another product in the same topic and sell as a Monster Money Making Product. Create DVDs and sell as a physical product on Amazon and eBay. Add check lists, mind maps and after creating DVDs you can package this set into a high ticket home study course. Remember that these are just a few ideas AND you are NOT LIMITED on how many of these you do! Many people do one or more of the above BUT very few change the title, customize the graphics, edit the sales material and add new opening graphics to the videos and end up with a new product with zero competitors! Then do the above! Now repeat this 3, 4, 5 or more times and you’ve become THE dominant figure in this niche. Steve at PLR Video Direct not only provides excellent video tutorials for his customers, but also provides a high level of customer service. The videos are great because they provide information that is useful to the very basic user all the way to the advanced. The content is great and so is the presentation. Clean, concise and easy to follow are all things I think of when watching these tutorial videos. Steve provides excellent customer service as well. After purchasing my first video series from Steve, I asked if it would be possible for him to upload them to my Amazon S3 bucket. After a couple of quick emails back and forth, the files were transferred. Amazing! This is NOT just an online shop selling old, tired plr videos. Steve is the man! Personally I’ve learned some valuable skills from Steve’s videos. He’s very thorough and takes the viewer step-by-step. Now, I’m taking these skills and using the PLR videos to start my own business. He also provides training to show how to get the most out of a PLR license and create a unique product. I especially appreciate the fact that he’s not only willing to answer questions, but eager to do so. It’s obvious that he wants his customers to succeed. Steve’s videos are such that they really drive the points home of the topics he is teaching and they are very personable and pleasant to watch and listen to. They are of a caliber that we don’t hesitate is in recommending the use of the videos for whatever purpose you find you need. I had all 400+ videos uploaded before I went to bed. Amazing quality, and amazing INFORMATION. I definitely will purchase many more of Steve’s products”. Additionally, Steve offered to transfer the videos to my new S3 account, an offer I gratefully accepted. To top it off he also found the details of two previous purchases I had made and transferred them also. Videos of excellent quality, audio pleasant to listen to, and a relaxing and at times humorous presentation. And excellent customer service. I’ll be back again for more videos and I can highly recommend Steve’s products and service. “Just dropping by to say a huge thank you and its a thank you in many ways. The help and support to solve my issues way before I became a customer was awesome, in fact I would say its second to none. All in all? Simply, priceless! “Steve’s video series products are the best I have ever had the great pleasure to download and use. His natural presentation style is very easy going and casual. Steve sets a new level of excellence in customer support. I ran into a problem and contacted him. He personally responded to my question within hours and did his best to help me. It turned out to be a problem on my PC. Very seldom do products live up to expectations. But your’s my friend (I hope that’s okay to call you friend?) do just that, no let me rephrase that, your products exceed my expectations. I’ve been purchasing your video tutorials but just recently got around to taking a look at them. I wanted to do my own voice over and then make them available to my local chamber of commerce to help educate them about the online world – I’m a web designer so I thought this was something I should help out with. Along with your videos I also purchased another set from someone else. Today I tried to use one of their videos with their own script and it was just a disaster. The guy talked so slow it was a major aggravation to try and put my voice to his video. The first video I did the one on getting organized only required one take and very minor editing and bam! I had a great video produced and ready to put online. I can’t thank you enough for the quality of your products, the hard work you put into them and the integrity you do business with. Listen: I don’t care if it’s one hour from now, or 3 weeks from now – if you ain’t happy, I ain’t happy. If it’s not for you, don’t even give me a reason why you want your money back. Just ask for it – and it will be returned promptly and quietly to you. Plus, we can still be friends. By the way, here is our support desk should you need to request a refund or need any product assistance at all with your purchase today. You also receive these value added bonuses for TAKING ACTION NOW! A Done For You Sales Funnel including my 10+ minute training video that walks you through every detailed step of setting this up on your server. Including how to edit the squeeze page, thank-you page the 7 follow up messages and even how to add your Aweber web form code to the squeeze page. I also include the PSD image source file if you want to customize the look as many different ways as you like to match the many different ways you customize your Aweber training video package. Plus the 7 (monetized) autoresponder follow up emails that you easily plug into your Aweber account as I show you in video 09 of the Aweber training video series. You can use these yourself PLUS Pass them onto your customers as bonuses. This bonus training alone is worth the small fee of the entire brandable GetResponse training course! Are You Ready To Add How To Use An Autoresponder – GetResponse Edition – Training Videos and the added value BONUSES to the income stream in your online business? Over 50 minutes of over-the-shoulder style video training on how to edit your PLR videos. I understand that I risk nothing and gain everything when I click on the button below and check out. 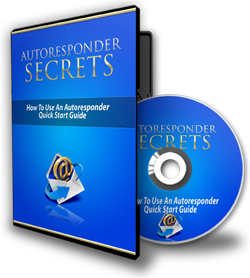 For my 1 time investment I’ll receive instant access to the PLR Package Of The How To Use An Autoresponder – GetResponse Edition – Training videos. I understand that by taking action & grabbing my copy of the PLR Package Of The How To Use An Autoresponder – GetResponse Edition – Training videos PLUS the BONUSES, I’ll get INSTANT ACCESS to the step-by-step video tutorials. 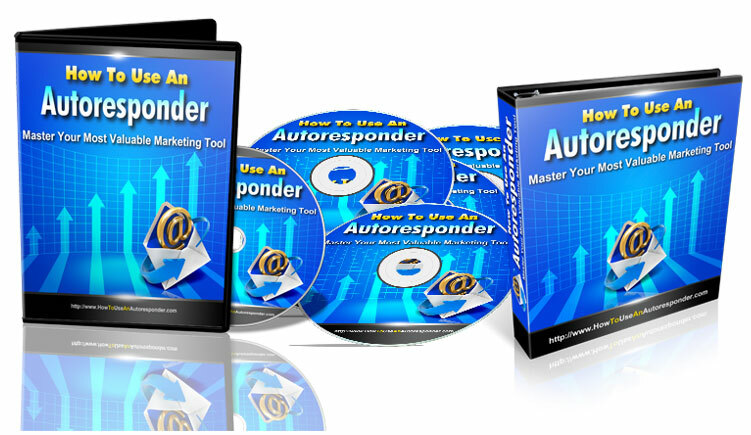 I am acting fast so please let me take advantage of this amazing offer for just $97.00 $57.00 for the entire PLR Package Of The How To Use An Autoresponder – GetResponse Edition – Training video set. I understand that I have a full 30-day money-back guarantee to examine my copy of the PLR Package Of The How To Use An Autoresponder – GetResponse Edition – Training videos PLUS the BONUSES. And, if, I’m not satisfied in any way, I’ll receive full and courteous refund of my purchase price right away.It is on that basis that I am clicking the secure ADD TO CART button below. P.P.S. If you are still on ‘the fence’ about grabbing this, just remember that you are getting Private Label Rights to all 24 videos. You are also getting all the web-ready videos & transcripts to make re-purposing as simple as 1-2-3. Plus the marketing package which includes sales copy, sales page, thank you page all the graphics and the PSD image source files as well. DISCLAIMER: This site and the product for sale are in NO WAY owned or controlled by GetResponse or Implix.The GetResponse domain, as well as the content included on the GetResponse website, Implix & GetResponse are registered trademarks of GetResponse.